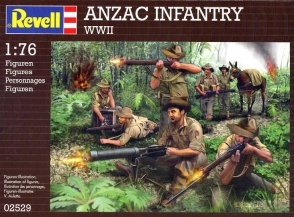 02529WWII ANZAC Infantry . 42 unpainted plastic figures. 19 different Poses.